The number of teams will be determined by League Management based upon registration total. Currently: 8 ZHL Teams in one conference, and 6 ZHPL teams in one conference. Previous team names will be recycled, but Owners will have the option of requesting a change. Requests will be considered and decided upon by League Management. Team location must be a canon StarCraft location. Players will be drafted onto teams by a draft. Players may only play for the team for which they are drafted. There is no maximum roster size. No player may be dropped from a team roster for any reason. The length of the schedule is determined by League Management. Currently: 14 matches per ZHL Team, 10 matches per ZHPL team. ZHL Teams will be granted 3 standard reschedules, 3 flex reschedules, 2 force reschedules, ZHPL Teams will be granted 2 standard reschedules, 2 flex reschedules, and 2 force reschedules, ZHL/ZHPL can swap games in the same-day without wasting a reschedule so long as all owners involved agree. If over a previously scheduled time slot, the replay must be saved and optionally casted at the next available time. Agreements must be made public via the Forums or Discord. Flexible reschedules can be scheduled to any time and date, including nonstandard ZHL times or concurrent to ongoing ZHL games. You must submit screenshots / replays for the flexible rescheduled series’ result to League Managers. Failure to do so results in forfeit. Regular reschedules are restricted to standard times (between 6:00pm and 11pm EST) and must have an agreed upon time before the 4 hour deadline. Forced reschedules are not usable during playoffs, any left over at the end of the regular season will be changed to standard reschedules. Playoff Reschedules will be allowed under the following circumstances. They have to be scheduled at a standard ZHL time (6:00pm-11pm EST). Must have League Management approval. May remain League Commissioner until a time at which he/she wishes to relinquish power, is impeached, or the season has ended. Must assign between 3 to 8 League Managers (LM) to rule on issues. Must select the Owners for the season. Eligible candidates should indicate their interest in Ownership on the google form. Has the ability to initiate a “League Vote” on issues, without approval. Reserves the right to exercise emergency powers and make changes to the rulebook in the best interests of the league if he and at least 3 League Managers agree with the change. If a majority of the Owners and League Managers combined (more than 50% vote) disagree with a change made in emergency circumstances, the change will be revoked. Make rulings based on his/her best interpretation of the rule book when needed and when he/she is not involved with the situation. Contribute thoughts/ideas to his/her best ability on rulings and decisions for the benefit of the league. Vote in “League Vote” decisions. League Managers will vote for or against a League Vote decision, majority wins. In the event of a tie in votes, the Commissioner’s vote wins. Any League Vote that is passed by the League Office which pertains to the punishment of an individual player or a ZHL or ZHPL franchise for breaking a rule, must have sufficient evidence cited in an explanation document written by the League Office, made public via the forums. League Votes can only be brought up by the League Commissioner or 3 League Managers. League Votes are required for all subjective rules and rulebook changes. In case of emergencies (game time events), only a majority of all available League Managers will be needed, to expedite this process. A League Vote concludes after 48 hours, after which votes will be invalid. League votes will be cast privately and made public immediately after the final results have been tallied. Complete tasks appointed by the League Commissioner. Will be in charge of drafting players to form their teams. Has final authority on the starting lineup for their teams when present. Mandatory designation of at least 1 Team Captain for ZHL. Creating the starting lineup for their teams when present. Act as leader of his/her Team during Owner’s absence. If a player within a team wishes to take over as Owner, the current Owner and League Management must both agree to the change. If no agreement between the two can be reached, the Ownership transfer will not occur. If no player on the roster wants Ownership, and the current Owner wants to relinquish control, the new replacement Owner will be chosen by League Management. Any owners who relinquish control will be ineligible to play any more games, in any position, for the remainder of the Season. If an Owner goes out of contact with his team Captains and the League Commissioner for more than 1 week without prior notification of the absence to League Management, League Management has the right to grant a Captain of the team the role of General Manager. The Commissioner is intentionally or unintentionally displaying clear bias for one player or team over another. The Commissioner is disrupting the League Vote process or reporting League Vote results untruthfully. The Commissioner has been unresponsive to League Managers or owners for 7 or more days without prior notice. First, 6 team owners must agree that the League Commissioner should be impeached. This should be clarified via an Owner Vote, where 6 out of 9 owners must vote to impeach. Second, the impeachment must pass a League Vote, of which the results must be collected and shared by the League Management. The League Management view following the rules as a critical part of maintaining the stability and health of our community. That being said, we conclude that some past rulings created unnecessary controversy that could’ve been avoided had the rules been more clearly defined, punishments more precisely stated, and judgments less subjective in nature. In general, we hope that all judgments can be as objective and automatic as possible, not requiring even the possibility of bias or controversy. Please read this section carefully and feel free to ask questions if something is unclear. All punishments entailing suspensions of more than two games must be affirmed by receiving a majority vote of the League Management. Players are forbidden from signing up with more than one account or pretending to be someone else. Players are forbidden from excessively BMing or spamming in “all chat” during League matches. Punishment: Minimum 1-3 period suspension, depending on severity of the offense. Players are forbidden from using the same name as someone else in the community, or from making their name look like someone else’s. Punishment: Minimum forfeit for each game the rule is broken. Players are forbidden from spamming the opt-in/out function. If a player wants to press the G key often for some reason, the player must remap the key (for example, switch G and H so that H opts in/out). Punishment: Minimum warning given upon accidental offense. Multiple offenses after a warning is given will result in a two-game suspension. Players are forbidden from using any outside programs that impact the game/Starcraft 2 in any way to give the player an unfair advantage. An exception to this rule is the use of a VPN to reduce a player’s ping. Punishment: Minimum two-game suspension and forfeit of games in which the offense occurred. More impactful infractions (such as AC) and proven intent will result in more severe punishment. Players are forbidden from binding multiple keys to a single action. Punishment: Minimum two-game suspension and forfeit of games in which the offense occurred. Players are forbidden from significant intentional time-wasting during games. Until the map is updated with certain changes, this is a subjective rule. If teams/players attempt to abuse time-wasting techniques, the Management will take serious action to limit continued attempts. Punishment: Minimum forfeit in the game in which this rule is violated. Repeated offenses will result in suspensions. The winning team receives a rounded “Goals For” based on their average at the time, and the losing team receives 0 goals. 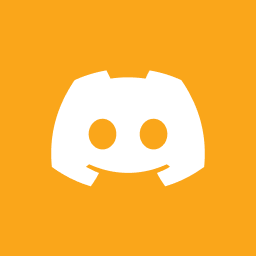 Players may submit a formal report to the League Management if they believe another player has committed an offense via Discord or BNet PM. Relevant evidence material, which could include replay with specific times of the offense, screenshots, video evidence, etc. Evidence should be submitted in totality and not in parts. If no proof is submitted, the League Management will ignore the report. Any other information/materials relevant to the report. The League Management has the right to investigate any player at any time for any offense, for cause or no reason at all, except in cases of clear harassment/demonstrated bias, or in cases which would place an undue burden (defined as materially reducing their performance) on a player. An investigation may result in the League Management requiring a player under inspection to take steps to assure compliance with the rules, such as streaming/recording games, documenting program usage, and so on. While the League Management reserves the right to require these actions, it may not place an undue burden on a player and may not request a player take special actions of compliance without cause. Note that as stated, the League Management may investigate for no reason at all, but it may not require anything of a player without cause. If a player receives a punishment, he/she may appeal it by following the guidelines outlined here. A player must submit a formal written appeal no later than one week after a punishment is formally announced. The League Management has no duty to review an appeal submitted after the deadline. Counter-evidence should be submitted all at once, except in cases which new information is acquired. Providing material in incomplete parts will slow the review process. A player may participate in games after an appeal has been submitted and not yet been decided, provided the appeal is submitted at least 24 hours before the time of the team’s next game. If the appeal is submitted within 24 hours of the game, the player may not participate unless the Management allows it. During the appeal process, a player must make every effort to accommodate any requirements made by the League Management, if any. At any time after an appeal has been submitted—including after an appeal has been denied and punishment finalized—the Owners may, by 60% majority (that’s 5/8 or 6/10 owners), vote to overturn the judgment rendered by the League Management, or (if the appeal has not been given a verdict yet) the Owners may determine the outcome/consequences of the appeal instead of the League Management if they believe there is a bias among the League Management for a particular case. The League Management will resolve the appeal within one week of its submission, otherwise the appeal will result in an overturn in favor of the appealing player. All potential Players must sign up via the league sign-up process. Players will only be eligible to play in league games on the account they signed up with. If a player wishes to change their registered account(s) prior to the draft, they must contact league management. Registration will remain open until the draft deadline. Players who register after the draft deadline will not be eligible to be drafted. Players may elect to lock into specified positions (skater/goalie) during the registration period. If a player plays the opposite role then their team will receive a forfeit for that game. Players may elect to lock into specified attendance during the registration period. Current attendance lock: 8/16 (50%) regular season games for the Zealot Hockey League, and 5/10 (50%) regular season games for the Zealot Hockey Probe League. Players that attendance lock may only play 2/5, or 1/3 in a playoff series. Attendance locked players can play their games vs any team. Owners draft value will be decided upon via League Vote. Trading and/or “skipping” draft picks is not allowed. On an Owners turn to pick, they must select a player to add to their roster. Once during the draft, if an Owner does not or cannot respond to attempted contact, they will be given an additional 5 minutes to make their pick for that round. Twice during the draft, an Owner may request an “extended timer”, which will allow them a total of 2 minutes to make their pick for the round. League Commissioner reserves the right to pause the draft for extenuating circumstances. Owners must select themselves in their owner spot. Draft will continue until all players who registered prior to the draft deadline are assigned to a team. The Commissioner reserves the right to stop delay the Draft at any point in time, and initiate an emergency League Vote to continue or restart the Draft at a future time with a different selection of owners if he/she determines that an Owner is intentionally or unintentionally making choices that will harm the league. 1.) The draft format will be a Blind Auction Draft. 2.) Each team will start with a base of $10,000 before owner value is subtracted from the total. 3.) League Management will estimate owner value in determining how much cash each team will draft with. 4.) After a player is nominated, you will have twenty (20) seconds to submit your bid privately to the auctioneer. Pauses will not be permitted after a player has been nominated. 5.) Each team will be granted two, five minute pauses if they need during the draft, but they must be used before a player is nominated. 1.) Each team is required to draft eight (8) players. 2.) Owners are required to nominate players that match their designated draft range. 4.) If a player is automatically nominated because he’s the only remaining player in the draft range, the team will be permitted to make another nomination after. 1.) Each owner will have twenty seconds to submit their bids to the auctioneer. 4.) If a nominated player receives no bids, his minimum draft price will be knocked down the next tier and he will be rebid on. This process will continue until he is finally drafted. 5.) The final amount received before 20 seconds expires is your final bid. You may not change your bid after 20 seconds. 6.) In the event of a tie with no money remaining between two or more teams, the nominating team will receive the player (if they bid on the player.) Otherwise, will go to a coin flip. 7.) If a player’s minimum bid is $1 and receives no bids, the nominating team will receive the player. The Home team decides what server the game lobby will be hosted under. The Home team will join the lobby as Team 1 (red), and the Away team will be Team 2 (blue). If a game is delayed past its scheduled time, the team responsible for the delay will suffer the following punishments: 10 minutes past scheduled time – loss of right for 1 remake for that game, 15 minutes past scheduled time – forfeit the game. To minimize any form of delay or latency, spectators or bench players of each game will be limited to the two broadcasters, and spectators or bench players must be approved by both teams’ Owners or Captains. Neither casters, nor co-casters, can be kicked by participating teams. Failure to abide by this rule will result in punishment as seen fit by League Management. Teams are allowed one remake per game (two if someone disconnects, until Blizzard fixes the reconnection bug). This may be requested during a pause or during period breaks. Teams cannot change the server upon a remake unless both teams agree to the change. If a player drops during the beginning loading screen, a single “neutral” remake will be exercised. No line-up or server change is allowed by either team. If there is not a caster present after 10 minutes of the game time owners (or team captains if owners are not present) may start the game. They will need to report the game with screenshots and a saved replay. A team must field at least 3 players in order to play. Playing with fewer than 3 players will result in an automatic forfeit. Trades will be permitted for ZHL and ZHPL until their respective trade deadlines. ZHL trade deadline: Sunday January 13th at 12:00AM EST. ZHPL trade deadline: Sunday January 13th at 12:00AM EST. All trades will need to pass a League Vote. A player who has played in all of his team’s games (minimum 5 games to be eligible) may exercise a no-trade clause if he wishes. Five players from every probe roster will be designated by their respective probe owners to be protected. Any / all non-protected players will then be placed into a draft pool, whereby, the worst placed team at the time will be granted the first draft position for the Probe-Redraft.The Probe-Redraft is not active at this time. Zealot Hockey Probe League rules are the same as Zealot Hockey League rules, with the only exception being eligibility and playoff format. 1st-4th round: Can play Probe League as a Skater on a case by case basis if they are the starting goalie ZHL but have ZHPL level skater abilities. EU’s past 4th round 50% lock in probe if they did not play more than 60% of their regular season games the last season they played NA. The player cannot be attendance locked. The player cannot be a regular starter. 6th+ round: Can participate in the Probe League regular season, at any position. 1st round of EUDL cannot skate in Probe League. They may play goalie if they meet the other ZHPL eligibility requirements. If the Probe team cannot field 4 players, and has no other players online who are eligible for Substitution, they are allowed 1 emergency Free Agent signing. The Free Agent must be approved by a League Manager or the opposing team’s Owner. The Free Agent cannot be on any team’s roster for the current season. Probe Playoffs will have 6 teams participate, with the quarter and semifinals being Bo3 and the final being bo5. Probe players must have at least 2 games played in the regular season to be eligible for playoffs. Emergency Free Agents: No emergency free agent signings may be used in Probe Playoffs. Each team will be awarded 3 points for a win in regulation time, 2 points for a win in Overtime or Shootout, 1 point for a loss which takes place in Overtime or Shootout, and 0 points for a regulation loss. The top 6 teams in the league will be moved into the playoff brackets. In the event of a tie on the standings, please refer to the tiebreaker rules below. The top two teams at the end of the regular season will receive a “bye” in the first round of the playoffs. All rounds in the playoffs will be best of 5 series. The “Home” team in games 1, 3, and 5 of each playoff series will be the team with the higher seed, while the lower seed will be the “Home” team in games 2 and 4. Probe Playoffs will have 6 teams participate. In the event of a tie on the standings, please refer to the tiebreaker rules below. All rounds in the playoffs will be best of 3 series, except for the finals which will be a best of 5. The “Home” team in games 1 and 3 (and 5 in finals) of each playoff series will be the team with the higher seed, while the lower seed will be the “Home” team in game 2 (and 4 in finals). Attendance locked players may play in 1/3 or 2/5 games in the playoffs. In the playoffs, in lieu of shootouts, sudden-death overtime will continue indefinitely until someone scores. At the conclusion of each season, all rosters will be wiped and the league will be completely re-drafted for the new season, following a new registration period. At the conclusion of each season, current League Management must create a forum post looking for Commissioner candidates for the next season of ZHL. After at least 3 days of looking for interested parties, League Management may conduct a final League Vote to approve a new Commissioner from those who have expressed interest in the community. The old Commissioner is eligible to be selected again. Before the start of each new season, the new League Commissioner and League Managers will decide on the Rules and Regulations for the upcoming season. There will be a break between league seasons, determined by the new League Management. Protect the integrity of the map files. Direct the Developer Committee to update the map regularly, at minimum once following each season to update necessary information. Create objectives for and assign responsibilities to members of the Developer Committee as needed. Giving trophies every season for ZHL/EUDL champions. Potentially offering goal horns, skins, or other rewards for achievements such as league championships/tournament wins, most goals scored in a season, MVP award, etc. Ensure that the Commissioner protects the interests of the community through any changes made to the map. Creating and maintaining a Community Gameplay Committee, which shall serve as the community’s expert representatives on all matters of Zealot Hockey gameplay. Community Gameplay Committee membership should consist of all players drafted in the first three rounds of the ZHL draft in one of the last three seasons, as well any other skilled/knowledgeable player(s) that the League Management deems appropriate. The League Management may determine different requirements for being a member of the Community Gameplay Committee if they deem it necessary. If a vote is held, the League Managers should collect votes privately from the individual members of the Community Gameplay Committee. Potential changes should be proposed by the Management in the Committee’s Discord channel and discussed there before a vote is held. The map shall be updated only upon passage of a League Vote. The map shall be updated only if a 60 percent majority of Community Gameplay Committee members votes to affirm the changes. The Community Gameplay Committee may choose to add potential Major Gameplay Changes to a test map before fully embracing any change.